How to delete history on iPhone? That is not a tough question, you will find an answer after you finish reading this article, which provides an easy and quick tool to delete history on iPhone. 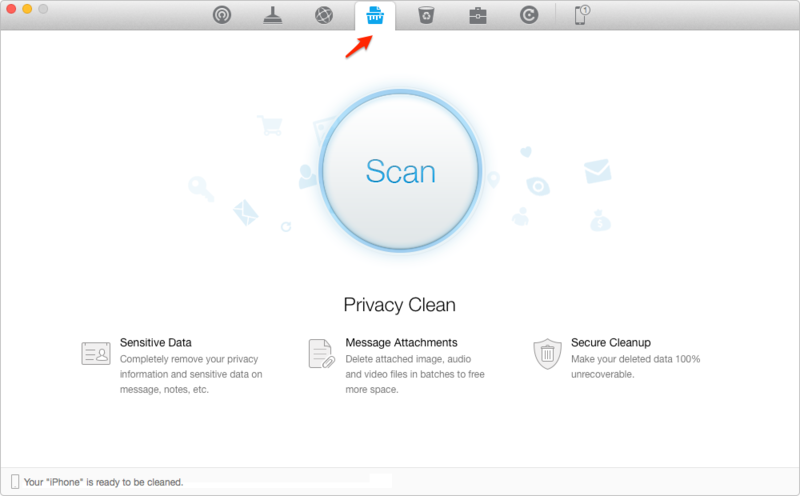 Have a try on PhoneClean, you can free download and install this award-wining software to erase history on your iPhone. iPhone 6 is the new edition of Apple company' smart phone, it is bigger and dramatically thinner than before. What's more, it is more powerful but efficient and have a smooth surface. We can say the iPhone 6 is on behalf of the people wisdom. You may want to buy an iPhone 6 (plus), and consider selling you old iPhone or lending it to a friend. What matters most is that you have to delete the history like call history, Safari history and browser history on your iPhone first to protect our privacy from leaking. Although you can delete them one by one, it doesn't mean they can't be recovered. So the question is how to clear history on iPhone? 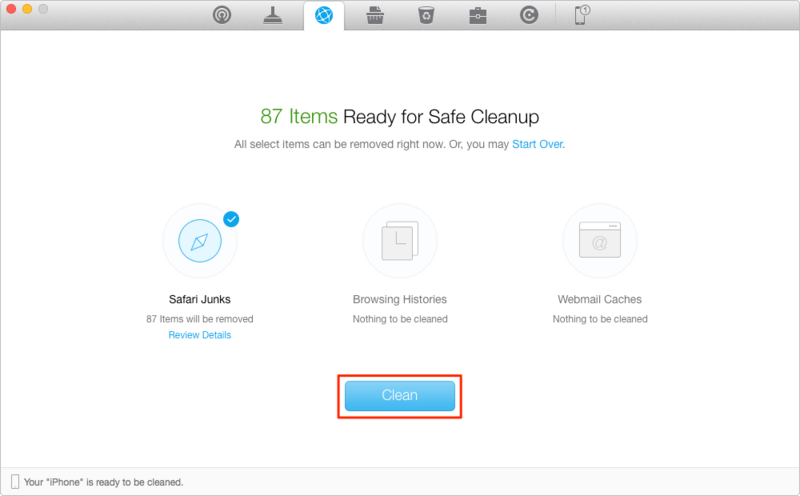 Thus this iMobie guide will recommend you a professional and efficient tool – iMobie PhoneClean to help you clear history on iPhone easily and quickly. PhoneClean is an all-around cleaner for iPhone/iPad/iPod. Allows clearing data (like app caches, app cookies, temp files, iTunes radio history, etc.) and privacy data (covering call history, browsing history, Safari history, messages, etc.). Integrates over 20 analyzing technologies and eliminates the unwanted content out of iOS device by cleaning deeply. At the same time, there are two modes to do deep clean and quick clean to detect and strike out the trash, which could free more space and clear private data. Supports cleaning iOS device in a few click and creating backups on your computer in case that you clear data by mistake. PhoneClean is an all-around cleaner for iOS devices like iPad, iPhone, iPod. Free download and install it on your PC/Mac to delete history on iPhone, open it up and connect your iPad to PC/Mac via a USB cable. Step 1. 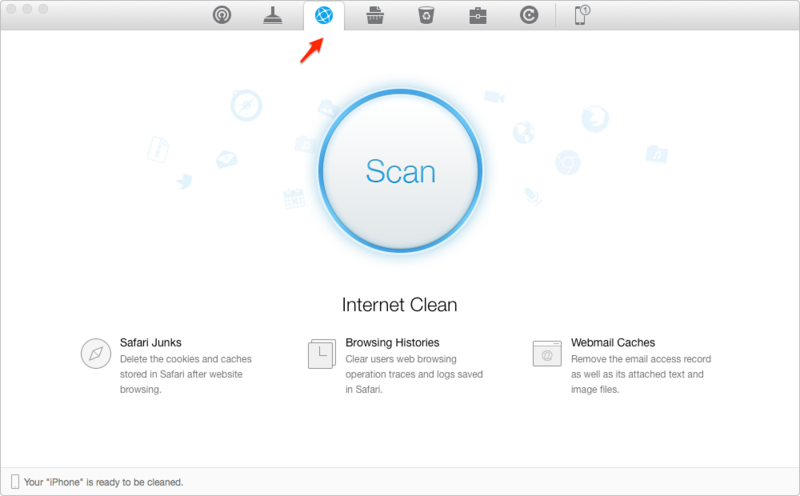 Launch PhoneClean > Click on Internet Clean to clean safari history and browsing history > Tap Scan button. Step 2. Tap Review Details to choose the items you want to delete > Click on Clean button. Step 3. Click on Privacy Clean to clear call history and messages > Tap Scan. Step 4. Tap Review Details to choose the items you want to delete > Click on Clean button. 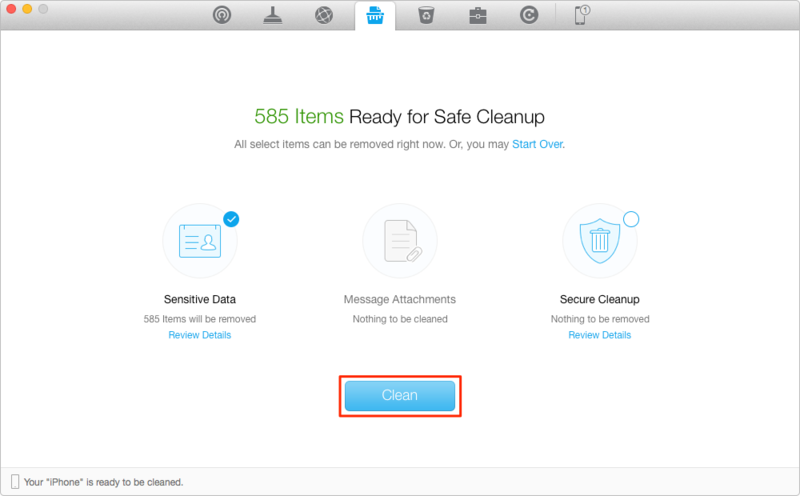 PhoneClean is the one to clean up your iPhone to free up storage space and erase privacy. If you still have any question, please don't hesitate to inform us by leaving a comment. If this guide is very useful, please share it with your friends. Why not give a shot on it now?